Fun fact: if you travel to Central Park when she’s not on tour, you just might find Julie Byrne working as a park ranger… that is, if she’s still in New York City by that point. The self-described nomad with the voice of liquid silver has been chronicling her travels over the U.S on Not Even Happiness, speaking plainly of love and loss in a reflective confessional rife with bucolic allusions. The album is at once sweeping and intimate, a good listen for those cross-country road trips or in the comfort of your own bed. Byrne is not discriminatory in her choice of folk muses, channeling Joni Mitchell on “Follow My Voice,” Ben Howard on “Morning Doves,” and even Enya on “I Live Now As A Singer.” She draws inspiration from her peers both past and present, combining their strengths so effortlessly that she creates her own unique sound. Not Even Happiness is plays out in a trance-like state, almost suspending the listener in a dream as Byrne draws them in with quiet, naked introspection. Byrne is careful not to fall into the folk trap of redundancy; she incorporates confident fingerpicking and classic folk influences with some more avant-garde electric keyboard work, exploring with reverb and echo effects without letting them swallow her narrative. Not Even Happiness follows an interesting narrative, as if Byrne is drifting out to sea, off to her next adventure. “Follow My Voice” draws you in with strong fingerpicking, accompanied only by a sly keyboard reverb that emphasizes the beginning of quiet reflection. Byrne’s voice is unadorned and at the forefront of the mix, softly whisper-singing confessions into your ear. “Sleepwalker” provides a faster pace, incorporating layered fingerpicking to create a flowing river effect. Again, Byrne’s vocals are the centerpiece; she is not hiding behind her instrumentals, choosing instead to use them as a simple but detailed backdrop for her well-articulated lyrics. On “Natural Blue,” a calm, repetitive cadence and melody evoke a lullaby. Faint vocals are faded and distorted by echo, and gentle harmonies add subtle layers to round out the track. Byrne includes wave sounds on “Sea As It Glides,” binding nature with nurture for the entire duration. The track reverberates and sways as it continues, and the accompanying instrumentals are constantly in motion. When Byrne sings “you are the sea/as it glides,” you are very likely to believe her. Byrne introduces the album in a very grounded way, and by the time the last notes fade from “I Live Now As A Singer,” she has disappeared into the instrumentals, leaving us with only an echo. The production on Not Even Happiness is impeccably done, and the sound fills the space of wherever you are; Byrne’s voice slips through the speakers to make a nest between your ears, curling up for a long winter’s nap. I know one thing for sure: I can now face the harsh Montreal winters armed with Byrne’s gentle warmth. 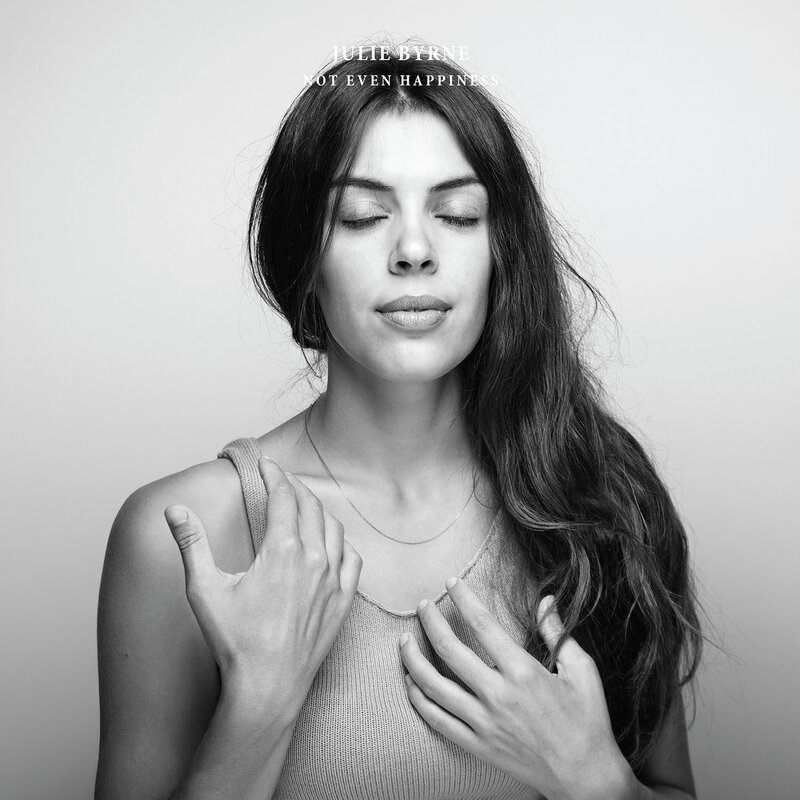 This entry was posted in Reviews and tagged album review, Folk, Julie Byrne, Not Even Happiness on February 9, 2017 by Juliana Van Amsterdam. In keeping with the caprices of the weather in the dead of winter, Montreal-born and Ottawa-based musician Gabrielle Giguere released her second album as Her Harbour on February 3. Go Gently Into the Night, an apt reference to Dylan Thomas’s haunting villanelle, pours sweet strings onto a heavy, winding reflection on the passage of time. 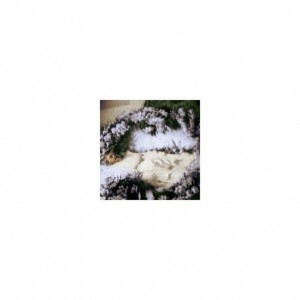 Fortunately, Giguere’s vivid descriptions of all things cold will displace the frost that may have settled into your bones, as this mystifying album leaves you willing to reconcile your differences with this brutal season. Although the album begins quite softly, it is easy to succumb to the intensity in Giguere’s pleas throughout “Hewing Crowns.” The piano and double bass pair with wails through a wind tunnel as she repeats the eerie line: “You conjure demon in me.” The dulcet vocals, supported by Philippe Charbonneau of Scattered Clouds, are entrancing as Giguere weaves through a melancholy dream. Charbonneau’s double bass also resonates throughout the album, rising and falling with the spirit of each song. Her Harbour’s ghostly atmosphere is further constructed by Mika Posen’s strings, Olivier Fairfield’s vibraphone, and Dave Draves’s keys. A swaying rhythm appears in “Below Breaths,” in which Giguere croons “I lay in books of your objections.” The track articulates the cycles of loss and return, enticing anyone with a similar tale to breathe along to the tune. Widely-lauded “Chime and Knell” follows, unravelling expectations of the spring in chilling waves. Whereas the spring is long-anticipated, its promise of growth is coupled with sobering undertones of death. Spine-chilling entreaties carry on to the emphatic “Memento Mori,” proving that there is tenderness that persists in grief. The album teems with imagery that seems to render the stages of sorrow as natural as the phases of the moon. “Death Mask” calmly unearths past maladies as the tone of the album shifts towards resolution and acceptance. “I won’t make you weep” is counteracted by the assertion that “time will leave you weak”. Perhaps it is the extraordinary power encased in this seemingly gentle selection of tracks that makes the album’s end feel like waking up from a fever dream. However, it draws to a close that makes the world outside feel quite a bit more forgiving. This entry was posted in Reviews and tagged e-tron records, go gently into the night, her harbour, maddie jennings on February 9, 2017 by CKUT Music Coordinator.